Marquis de La Fayette arriving from France with L’Hermione informing General George Washington and Colonel Alexander Hamilton that the French will support the American “Insurgents”. Sculpture installation located on the Morristown Green. Morristown has been called « the military capital of the American Revolution” because of its strategic role in the war for independence from Great Britain. Audubon, NJ – Lafayette Rd. Cape May, NJ – Lafayette St.
Carneys Point, NJ – Lafayette Rd. Carteret, NJ – Lafayette St.
Edgewater Park, NJ – Lafayette Rd. Edison NJ – Lafayette Rd. Fords, NJ – Lafayette Rd. Hackettstown Town, NJ – Lafayette St.
Harrington Park, NJ – Lafayette Rd. Hopewell, NJ – Lafayette St.
Jersey City, NJ – Lafayette St.
Linden, NJ – Lafayette St.
Metuchen, NJ – N. Lafayette Rd. Newark, NJ – Lafayette St.
Paterson, NJ – Lafayette St.
Princeton, NJ – Lafayette Rd. Rahway, NJ – Lafayette St.
Riverside, NJ – Lafayette St.
Rumson, NJ – Lafayette St.
Sparta, NJ – Lafayette Rd. Wharton, NJ – Lafayette St.
Williamstown, NJ – Lafayette St.
Woodbridge, NJ – North Lafayette Rd. The Continental (American) Army under George Washington was encamped in Bergen County from August 23 to September 20, 1780. 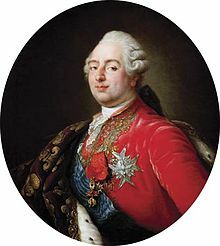 • July 13 – Lafayette leaves France. • August 15 – Staten Island, NY. • September 5 – New York City. where he was greeted with an elaborate reception. 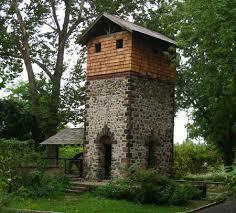 While in Newark, he was entertained at Elisha Boudinot’s home. Elisha Boudinot / General Lafayette Marker Broad St. and Park Pl. On this site stood the residence of Elisha Boudinot one of Newark’s most distinguished citizens, Eminent jurist, Member of Newark’s Committee of Correspondence, Patriot and personal friend of Washington. Here on September 23, 1824, General Lafayette was entertained on his first visit to Newark. On the one-hundredth anniversary of this event, this tablet was erected by the Newark Chapter, New Jersey Society, Sons of the American Revolution. 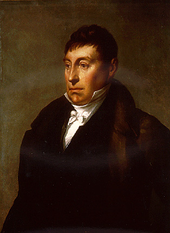 Marquis de La Fayette visited Caldwell, NJ in 1824, featuring a celebration party at the Crane Tavern. In 1795 Elias Boudinot Brother of Elisha Boudinot sold Boxwood Hall to Jonathan Dayton, who lived here until his death on Oct. 9, 1824, less than three weeks after the visit from Lafayette. 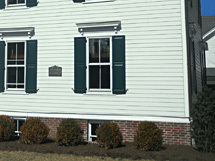 Since 2004 The State of New Jersey operates the house as a historic house museum. As part of this trip, Lafayette stopped at the Cross Keys Inn on September 24, 1824, while en route to Philadelphia. 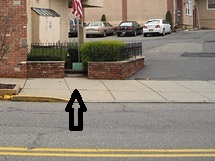 Today 142 James St. (Private Home) the tavern was originally located at the corner of Main Street and Amboy Avenue. • June 7 – Rochester, NY. The inscription includes: In 1824, Lafayette revisited this grave, and turning away much affected, exclaimed, Ah, that was one of my Generals. Lafayette visit Hackensack, Paterson, and Morristown the same day. The area was the « scene of many raids and encounters during the Revolution. Washington and his men often passed here. On July 14, Lafayette attends a banquet held in his honor at Sansay House. Lafayette attended a ball in his honor at this house, which was then used as a dancing school by French dancing master Louis Sansay. • July 15, 2015 – Lafayette is on his way to Springfield, NJ.